Mediation; Joint representation; Purchase of Family Residence in the name of one spouse; Alimony in less than years marriage; Support of Adult Child. San Diego, California, May 24, 2011: Court of Appeal of California, Fourth Appellate District, Division One held that a spousal support waiver in the parties’ 1999 premarital agreement cannot be invalidated based on the Fam. Code, § 1612, subd. (c), enacted in 2002. The court of appeal held that § 1612, subd. (c), requiring legal representation by the spouse who waives the spousal support was a material change in the law as to enforceability of a spousal support waiver and the Legislature did not intend it to apply retroactively. In addition, there was substantial evidence that the wife entered into the agreement voluntarily, was advised but refrained from obtaining legal counsel, understood the agreement, and there was no evidence of duress, fraud, or undue influence. Wife argued that she signed the agreement without the benefit of having an attorney, under duress of having the preparation for the parties’ wedding was contracted and completed, and that canceling the wedding would have created great embarrassment. Stuart and Susan Crossley, who signed a prenuptial agreement. 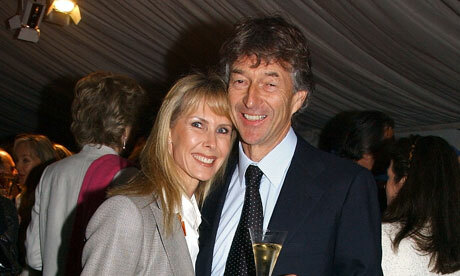 Susan Crossley had been awarded £18m from three previous divorces. Prenuptial agreements are becoming the norm among a generation of financially secure men who are rejecting the more romantic notions of their fathers. New research shows that a vast generational divide is opening up in attitudes towards “prenups” – with younger men far more inclined to take legal steps to protect their assets in case of divorce. According to the research, carried out for the law firm Mishcon de Reya, men under 45 who earn more than £100,000 a year are three times more likely to have a prenuptial agreement than those aged over 45. Almost one in five, or 17%, of men under 45 have a prenuptial agreement, compared with 5% of over-45s. Two out of five men aged under 45 said they did not believe in a 50-50 division of assets with their former wife. Three-quarters of these said that because they made a greater financial contribution to the relationship they should be entitled to a larger proportion of the assets. The findings suggest that younger men are taking a more hard-nosed approach tomarriage than their parents. Lawyers said it was an eminently sensible approach. “Given the divorce rate, it is concerning that many [men] are unrealistic, and I would advise them to think seriously about taking safeguarding measures such as pre- and/or post-nuptial agreements,” said Barbara Reeves, partner of Mishcon de Reya. Reeves said there was a discernible difference between the way men and women were approaching marriage. “Men’s focus may be more short-term, whereas women are generally more concerned about their long-term financial security,” Reeves said. The law firm conducted research among 200 City high-flyers and others earning more than £100,000 a year. The publication of its findings comes on the 10th anniversary of the landmark White vs White divorce case that saw the UK courts give equal recognition to the non-financial contributions of the wife. The case established a starting position of an equal splitting of marital assets on divorce. Prior to the ruling, which opened the door to increased divorce payouts for partners of high net earners, the courts’ approach had focused solely on meeting a wife’s “reasonable needs”. The emergence of the prenuptial agreement is seen as an attempt to limit the size of such payouts. The agreements are increasingly standard in the US and most of Europe. Property tycoon Stuart Crossley relied on a prenup during his divorce from Susan Crossley, a former model. She had already been awarded £18m from three previous divorces when she launched the failed claim in 2007. While prenuptial agreements are increasingly recognised in the courts, they are only one factor taken into consideration by judges. That, however, may change. Lawyers are awaiting a judgment from the supreme court in the case of Radmacher vs Granatino. Katrin Radmacher, a German heiress reportedly worth £100m, is fighting to have a prenuptial agreement that her husband signed recognised. Lawyers say the court decision could pave the way for legal changes that would make prenuptials more effective in English courts. ■ Actress Amy Irving won $100m from Steven Spielberg in a divorce settlement in 1989 after a judge ruled that the couple’s prenuptial agreement was invalid. Irving had not been represented by a lawyer when she signed the agreement, which was allegedly scribbled on the back of a paper napkin. ■ John Kerry became the first presidential candidate to have signed a prenuptial agreement after marrying Teresa Heinz in 1995. Heinz is estimated to have inherited $500m after the death of her former husband, Senator H John Heinz III, the heir to the Heinz company fortune. ■ Britney Spears was so sure of the love she shared with dancer Kevin Federline that she was reluctant to sign a prenuptial agreement before they married in 2004. But after advice from her aides and a message from Donald Trump, she agreed to sign. When their two-year marriage broke down, Federline was awarded just $300,000 of Spears’s estimated $100m fortune. ■ Katie Holmes’s father, a divorce solicitor, represented her in a prenuptial agreement with Tom Cruise on their marriage in 2006. For every year that Holmes remains married to Cruise, she will accrue $3m, up to a maximum of $33m. If the marriage lasts longer than 11 years but then breaks up, Holmes will be entitled to half of Cruise’s fortune.